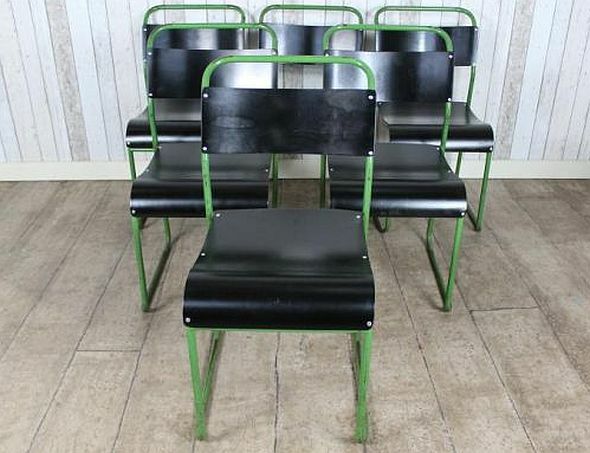 A collection of wonderful original funky stacking chairs. 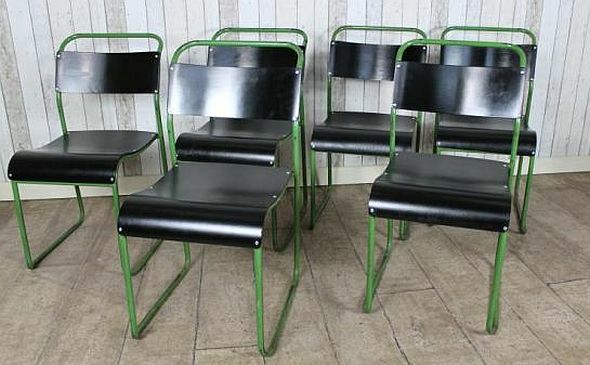 These authentic old school chairs have a green frame with black seat and back. Extremely comfortable and very sturdy these original funky stacking chairs are a real alternative to the traditional plywood seat versions. 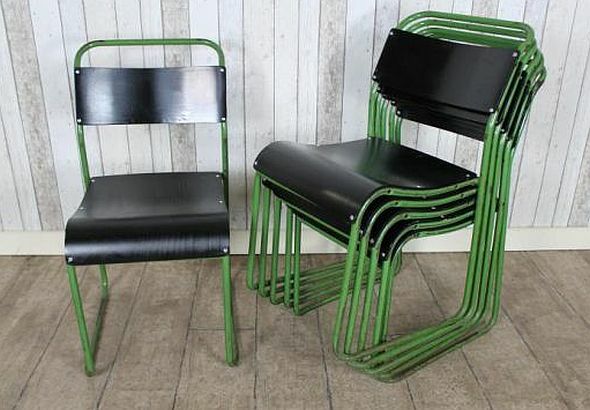 The curved seats and backs are riveted to the tubular steel green frames. 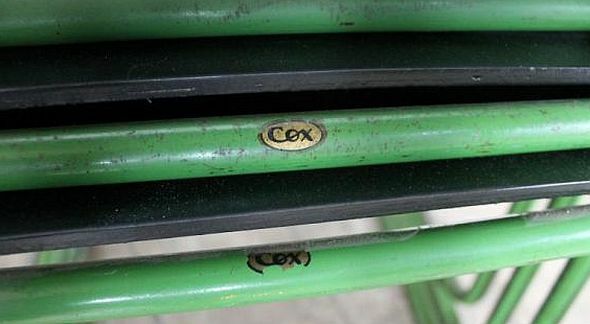 These chairs still have the name of the original maker ‘cox’ on the frame and are all in very good condition for their age. There are marks to the frames and seats, this is to be expected of chairs of this age and add to the character. Please be aware the price stated below is for one of the original funky stacking chairs. We do have quantity of these chairs, also some identical chairs with yellow frames if you are looking for other colours, so we can supply larger numbers if required.